Over the next 12 months we are looking to add more information about the village and those who lived here. If anyone can help on these projects or would like to suggest other projects that we can uncover please contact us Richard Westbrook Baker In the nineteenth century, Richard Westbrook Baker was world famous round here. He helped make farmers more prosperous and farmworkers more comfortable; a better plough, more productive cattle and workers' allotments. In his spare time he started a brewery in Langham which subsequently became Ruddles. Local historian, Dr Vanessa Doe, has researched and written his story. He wasn't born here but we think of him as a son of Cottesmore and are looking at his life from that perspective. 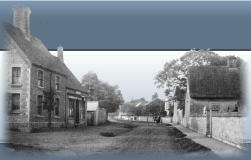 We hope to publish the findings later this year Retailing and Services from the mid-19th century The History of Retail and Services in Cottesmore has followed the trend of many English villages with most local services disappearing. 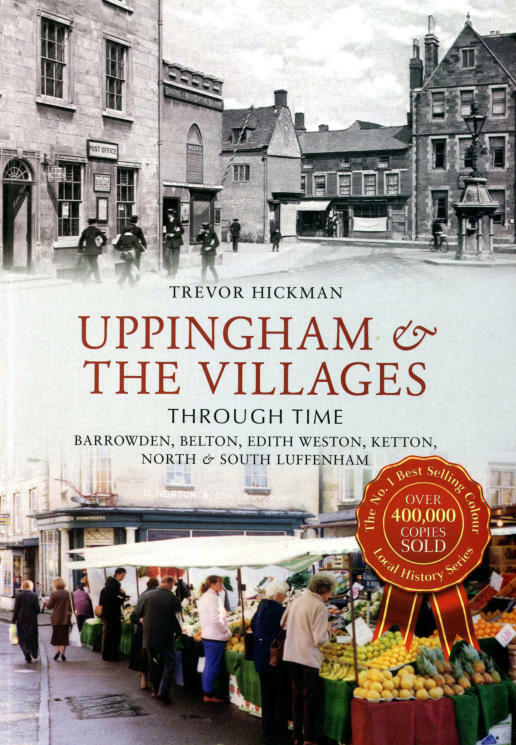 In the mid nineteenth century the village had a baker who milled his own flour, two drapers, three butchers, a tailor, two boot and shoe makers, a carpenter, two blacksmiths and two pubs. There was no post office as such but Ann Lambert ran a grocer’s shop and was the designated receiver and dispatcher of letters which arrived by footpost from Oakham each day. By the end of the century, one of the pubs had ceased to trade, there was a post office still combined with a grocer’s shop, a baker, a butcher, a draper, a coal merchant who was also a farmer and a painter and decorator. In the mid twentieth century the post office was also a stationer and could deal with money orders and had telephone kiosk outside. There was a grocer and a Co-op, a butcher, milk and newspaper deliveries, a carpenter and a painter and decorator. Now the village has a Post Office, General Store, a Fish and Chip shop and a petrol station with a car dealership. Other services include the Mobile library and delivery vehicles. - More detail will be available later in the year. Janet Erskin Stuart In November 1857 a new baby, Janet Erskine Stuart, was born at the Rectory in Cottesmore, the thirteenth child of the Rev the Hon. Andrew Stuart. Her mother was his second wife Mary Penelope Noel, a close relative of Lord Gainsborough. One of Janet's brothers was to become the sixth Earl of Castle Stewart. However Janet was destined to greater fame and influence in another realm. As a child she lived in a privileged household and travelled in Europe and over the years had both Swiss and German governesses. As a young girl she moved away from the Church of England and by the age of 22 had become a catholic soon to become a nun in the Society of the Sacred Heart at Roehampton. It was here that her immense talents were recognised and she soon became the assistant to the Mother Superior Reverend Mother Digby. In a few years she had written a number of books, mainly on education, and on the election of Mother Digby to Superior General in Belgium she became the Mother Superior at Roehampton. With Mother Digby she travelled to Canada and the USA and her talents were recognised all over the world. On the death of Mother Digby in 1911 Mother Janet became the Superior General, the head of the whole society of the Sacred Heart. She died in 1914 and is buried in Roehampton. One sad feature of her life was when she became a Roman Catholic she was no longer welcome to stay at the Rectory and never did. A fuller version of the story of this remarkable woman will be published later this spring. Cottesmore Gardening Club Produce and Craft Show - 2nd September At this very popular event CHAG will have on display a range of publications, photographs and other interesting items. Photographic Record By the Autumn CHAG will have produced a web page devoted to 19th and early20th century photographs and where possible with the same scene taken today. It is hoped that from these records we will be able to produce a short video of the village from a bygone age. Census Data Much can be gleaned from the census data, taken every year since 1841. The first analysis to be produced will be that for 1861 showing where people were born, their occupation, and length of life. We will also identify families and favourite first names. Over the next 12 months we are looking to add more information about the village and those who lived here. If anyone can help on these projects or would like to suggest other projects that we can uncover please contact us Richard Westbrook Baker In the nineteenth century, Richard Westbrook Baker was world famous round here. He helped make farmers more prosperous and farmworkers more comfortable; a better plough, more productive cattle and workers' allotments. In his spare time he started a brewery in Langham which subsequently became Ruddles. Local historian, Dr Vanessa Doe, has researched and written his story. He wasn't born here but we think of him as a son of Cottesmore and are looking at his life from that perspective. We hope to publish the findings later this year Retailing and Services from the mid-19th century The History of Retail and Services in Cottesmore has followed the trend of many English villages with most local services disappearing. In the mid nineteenth century the village had a baker who milled his own flour, two drapers, three butchers, a tailor, two boot and shoe makers, a carpenter, two blacksmiths and two pubs. There was no post office as such but Ann Lambert ran a grocer’s shop and was the designated receiver and dispatcher of letters which arrived by footpost from Oakham each day. By the end of the century, one of the pubs had ceased to trade, there was a post office still combined with a grocer’s shop, a baker, a butcher, a draper, a coal merchant who was also a farmer and a painter and decorator. In the mid twentieth century the post office was also a stationer and could deal with money orders and had telephone kiosk outside. There was a grocer and a Co-op, a butcher, milk and newspaper deliveries, a carpenter and a painter and decorator. Now the village has a Post Office, General Store, a Fish and Chip shop and a petrol station with a car dealership. Other services include the Mobile library and delivery vehicles. - More detail will be available later in the year. Janet Erskin Stuart In November 1857 a new baby, Janet Erskine Stuart, was born at the Rectory in Cottesmore, the thirteenth child of the Rev the Hon. Andrew Stuart. Her mother was his second wife Mary Penelope Noel, a close relative of Lord Gainsborough. One of Janet's brothers was to become the sixth Earl of Castle Stewart. However Janet was destined to greater fame and influence in another realm. As a child she lived in a privileged household and travelled in Europe and over the years had both Swiss and German governesses. As a young girl she moved away from the Church of England and by the age of 22 had become a catholic soon to become a nun in the Society of the Sacred Heart at Roehampton. It was here that her immense talents were recognised and she soon became the assistant to the Mother Superior Reverend Mother Digby. In a few years she had written a number of books, mainly on education, and on the election of Mother Digby to Superior General in Belgium she became the Mother Superior at Roehampton. With Mother Digby she travelled to Canada and the USA and her talents were recognised all over the world. On the death of Mother Digby in 1911 Mother Janet became the Superior General, the head of the whole society of the Sacred Heart. She died in 1914 and is buried in Roehampton. One sad feature of her life was when she became a Roman Catholic she was no longer welcome to stay at the Rectory and never did. A fuller version of the story of this remarkable woman will be published later this spring. Cottesmore Gardening Club Produce and Craft Show - 2nd September At this very popular event CHAG will have on display a range of publications, photographs and other interesting items. Photographic Record By the Autumn CHAG will have produced a web page devoted to 19th and early20th century photographs and where possible with the same scene taken today. It is hoped that from these records we will be able to produce a short video of the village from a bygone age. Census Data Much can be gleaned from the census data, taken every year since 1841. The first analysis to be produced will be that for 1861 showing where people were born, their occupation, and length of life. We will also identify families and favourite first names.